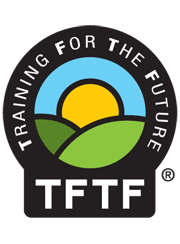 TFTF (2008) Ltd offer comprehensive and up-to-date forestry and arboriculture training and qualifications in the UK. The list on the left hand of the screen show our available courses to give you the skills and knowledge you need to do your job in a safe and effective manner whilst allowing you to progress your career by meeting current standards set by the public and private sectors. Working in the forestry and arboriculture industry can be extremely dangerous. Using chainsaws and associated machinery without the proper training can result in accidents. Our Lantra Awards training courses / qualifications prove that you can demonstrate your skills and knowledge as well as work safely. Further, the Provision and Use of Work Equipment Regulations 1998 (PUWER) require employers to provide adequate training and to ensure that chainsaws and related equipment are operated only by employees who have received appropriate training.